At the Law Offices of Charles P. Fox, we concentrate exclusively on special education law and related issues including guardianship. Our staff includes attorneys Charles P. Fox, Esq. and Julie Welsh, Esq. We provide a high level of expertise in law and educational subject matters to achieve effective outcomes. 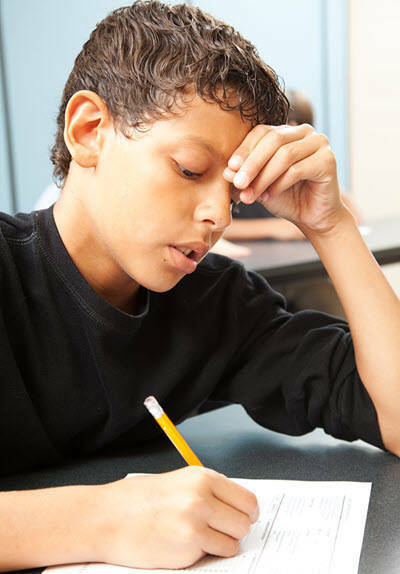 We serve the special education law needs of clients throughout Illinois. Contact our office to schedule a FREE 50-minute consultation with one of our attorneys at 847-205-9897. At the Law Offices of Charles P. Fox, we work to protect student’s rights to a free and appropriate education under federal and state laws. If your child needs special education services and those needs are not being fulfilled or access to services is being denied, the Law Offices of Charles P. Fox will advocate for your child. Special Education Law Blog- A special education legal resource discussing case law, news, practical advocacy advice, and developments in state and federal laws, statutes and regulations. Postings include insight and sometimes humor from Charles P. Fox, a Chicago, Illinois attorney who is also a parent of child with special needs, and other guest authors. We also post more information on social media. “He [Charlie] was recommended to me by my pediatrician. Her words, “He is extremely well known and respected in the educational advocacy community.” From the moment I met Charlie I knew that he was a very caring, thoughtful, and creative attorney. Moreover, to have him on your side is an asset that is invaluable. There was more than one time when I wondered how we could possibly work through issues with the school. Never once did Charlie fail to deliver! I have nothing but heartfelt gratitude for all that he has done to help my daughter achieve success, despite facing extremely challenging health-related issues while in high school. He cares, and I could not imagine having a better attorney on my side. This is from a client whom I have represented for three years. This is a testimonial from a client who had struggled for years with her school district over issues of placement. We were able to come to a very satisfactory and quick resolution. Her child is now attending a different school that is able to meet his needs. This is from a parent whose child we successfully represented in a due process hearing winning substantially on a variety of issues.